So simple to create and makes us look very efficient as we stumble along in life! 1. 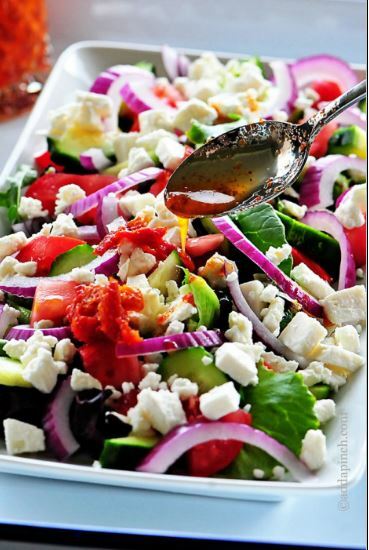 Layer salad greens, tomatoes, cucumber, onion, and feta cheese onto medium serving platter or in a medium bowl. 2. Serve Sundried Tomato Vinaigrette on the side for self-serving.